Happy Sunday everyone! Hope you guys had a wonderful weekend. Mine was great, spent Saturday with my niece and nephew, we made up a dance routine and watched Frozen... for the umpteenth time. But I love it tho. 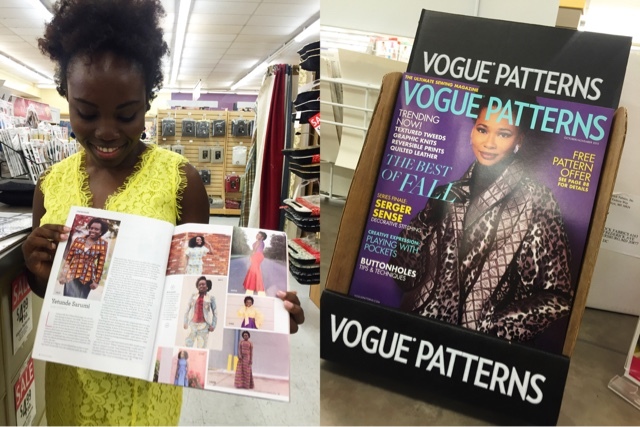 For the Sewists, the top can be made using Vogue Pattern 8815 and altering the peplum. Lovely outfit. I am relocating to Canada next year. I sew made to measure outfits for people. And I am considering having an online store and stocking with zuvaa. Pls I need your advice. Are the charges ok at the end of the day. How do you source for fabrics? Thank you! Very nice.. Zuvaa is great and the charges are okay. I source for fabrics online and through other seamstresses that I know. I also work with some people overseas. For business questions, feel free to email me at hello@yetundesarumi.com. I'd be happy to answer your questions. Love the print. Your pics look great. I plan to see your show on 11/12.